Childhood is one of the most memorable times in our life — a time where dreams of becoming princesses, astronauts and cowboys are never questioned — when being a superhero was as easy as climbing up the top of the stairs with a blanket tied to your neck, jumping as far as you can, until being defeated by the ultimate super villain. Gravity. Shazam takes those memories, along with action, humor and childhood antics and then wraps it up all in one for a great time for everyone. 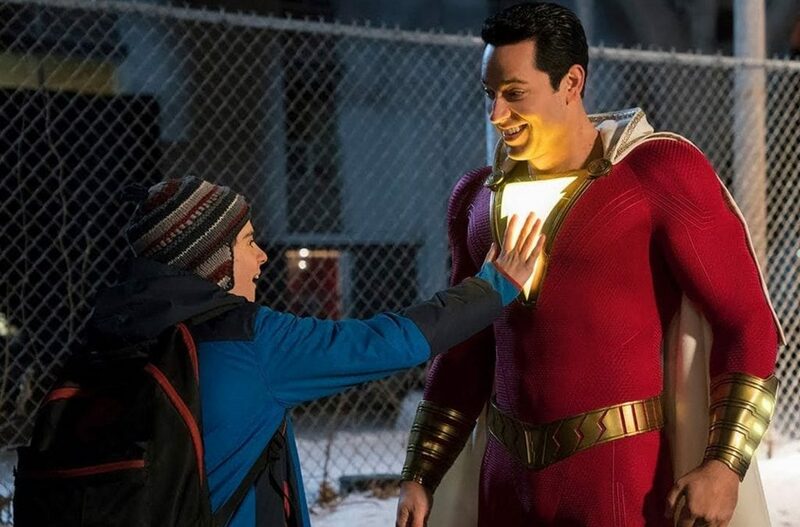 Zachary Levi (Shazam) was a dark horse for the role of the Great Wizard once the movie was announced in 2017, but his performance captures the warmness and wit that makes Shazam such a great character in all of comic books. Billy Batson (Asher Angel) has been in the foster care system since he was a young child, and he’s only had one person to look out for — himself. That changes when a family takes in the rebellious teen. While reluctantly adjusting to life with a family, he encounters the Great Wizard, Shazam, who champions Batson and bestows his powers to him when Batson says one word, SHAZAM! The highlight of the film is the accuracy of how it would be should a 14-year-old boy actually be granted super powers. The child in everyone relates to Billy with his decisions while being the Great Champion. Again, Levi does an amazing job of harnessing the joy and newness of youth. Angel also gives a wonderful performance as the rebellious teenager creating a sense of understanding from the audience. Originality of Shazam’s character, a teenager obtaining the power of Greek gods and the supporting characters will be refreshing to audiences who’ve been consuming the superhero plots that seem to overlap each other. Family is the theme, and the way director David Samberg conveys it is heartfelt with a little bitterness. The DC cinematic universe isn’t the household powerhouse that Marvel Studios is, but ‘Shazam!’ along with the holiday-season hit Aquaman, works as a sign of great things to come.